Discussion in 'Chris Reeve Knives' started by STGS, Apr 13, 2018. I am going to gift my dad a 25 tomorrow even though I am pretty sure it is not going to be treated nicely!! He is not gentle with his knives. 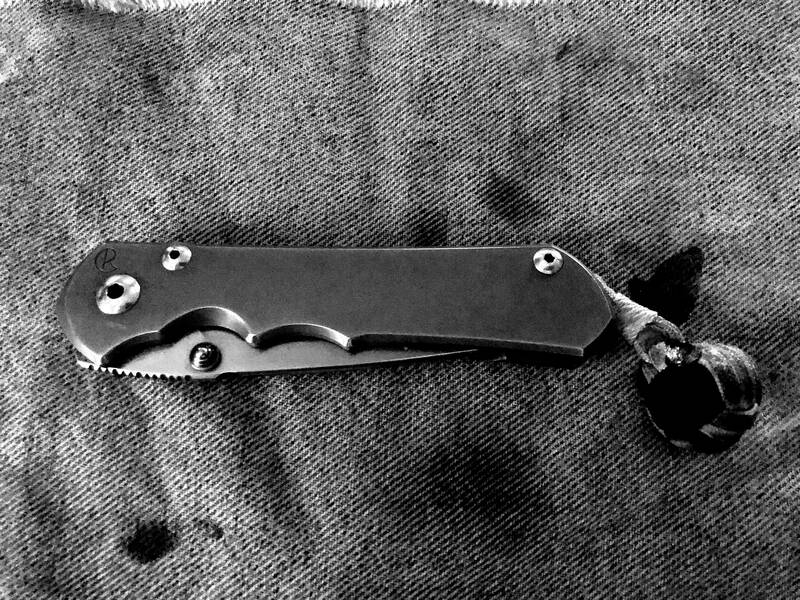 Oh well, it's just a knife and the factory can always fix her up. He is not the kind to buy something like that for himself but he will truly appreciate it. Lapedog, redwing11, 4mer_FMF and 4 others like this. You won't have to worry whether the knife will hold up mechanically, it wasn't built for being treated nicely. Good for you to gift your father a well built knife. !!!!!! No doubt, he'll enjoy it. I have no doubts it will hold up mechanically. I told him it would get scratched up but they look better used. He said that he probably wouldn't have to put any "forced" pocket wear on it. Great gift for your father ... hope he enjoys it. I was gifted one recently and I can assure you it’ll hold up to the hard use no problem. Hope he enjoys it although I’m certain he will. You’re a good son. Lapedog and Ajack60 like this. I know this is a little off topic but since it was a 25 and they are not made anymore but TNK does still have a few in stock, how long do you think CRK will have parts for them? Just curious. Since the Inkosi replaced the 25 and they are similar in build, I'd think parts/service for the 25 won't be a issue.